So with our air tickets sorted, I had to plan where we wanted to go in Greece. All the years of living in UK where all my British friends would be off to Greece for their summer breaks, we had never ventured that way. The husband and I are not really sun, sea, sand and beach people. Our worse holiday would be spent on a beach resort in a tropical country!! We prefer cooler climates, driving holiday and walking to discover beautiful sights. I have always heard great things of Santorini, and with a bit of research, I was sold on going there. Of course since we were flying into Athens, we were going to explore Athens. The husband is a history buff, so we had to decide if we were going to do a driving exploration or just follow a tour. After reading a few websites where they described Greek drivers as hormone-ridden teenagers who have no driving licenses, and steep, windy roads. It didn't take much convincing to pick to go on a tour. The most popular tour offered was a 4 day Classical Greece tour, you will find it being offered by expedia, viator and most tour agencies in Athens. There are price differences between the agencies, so do spend a little time researching. Some tour agencies consolidate all their customers into one tour, while the larger agencies don't. If you google 4 day Classical Greece tour, your search results will give you various hits. We ended up going with Antelope Travel based in Athens. They had online booking and payment facilities which was very convenient for us. This tour is available from 1st April to 31st Oct with English or French tours available. You can choose between staying in what they called a First Class or a Tourist Class hotel. After checking lots of review sites, I decided it wasn't worth to pay for First Class hotels and went with Tourist. It was only after the tour ended that I realised that they upgraded us to First Class and I paid a lot less than if I had booked a tourist class hotel tour with Expedia or Viator. Bargain again!! Yeah!!! WOW what a great time you had in Greece! The accommodations look well appointed. I like the look of that cheese and spinach pie. Wow! Its great pics about Greece.Its great destination of going abroad to visit with family, friends.Its awesome place for fun.Thanks to shows pics of greece. Realy greece is so awesome conutry .And greece wather is so cool and awesome.I wish i want to go to greece at least one time.Thanks for such a great post. Students should be asked to visit historical places in different countries so that they can increase their knowledge as well. Besides holidaying, the prime concern should be to inculcate good information about the people, places, culture and language. We found it really difficult to pick the islands we visited. However, we loved Milos...its a lovely little place, where usually the locals go. Must have on your itinerary! 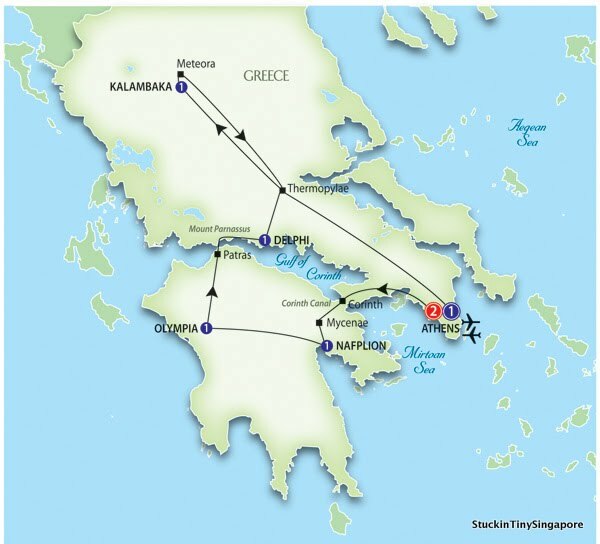 Thank for sharing such informative blog article with us in which you have shared the Overview of Greece Trip. Please keep updating with your authentic blog article. Treks Himalaya an indoor outdoor trekking and tours operative company takes you that further way to guarantee you has a memorable trip that you have been dream with Treks Himalaya is part of your choice. Trekking in Nepal is delighted to welcome you tiny but amazing country. Nepal trekking is final purpose for trek in Nepal offers numerous options walking excursion to meet snowy peaks, their foot hills, valleys but however there is amazing for each who hope hiking in Nepal hill, mountain area. Nepal as unique combination of natural glory, spectacular trekking trips to hard climbing and trekking most rewarding way to skill Nepal natural beautification and cultural array is to walking, trekking, width and the height of country. We are specialize in organize Nepal travel activities excursion such as:- Trekking, Helicopter Tour, Peak Climbing, Mountain Flight, Honeymoon Tour, Sightseeing, Rafting, Jungle Safari, Pilgrim’s Tour, Hotel Reservation, Air Ticket, Tibet and Bhutan Tour many more.